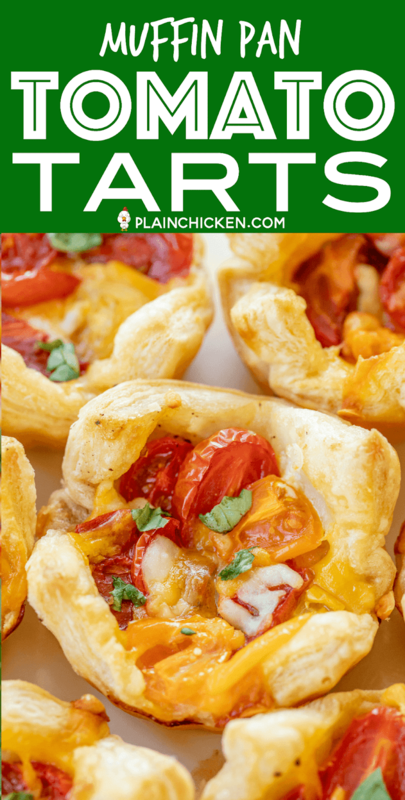 These Muffin Pan Tomato Tarts are a great side dish or appetizer. 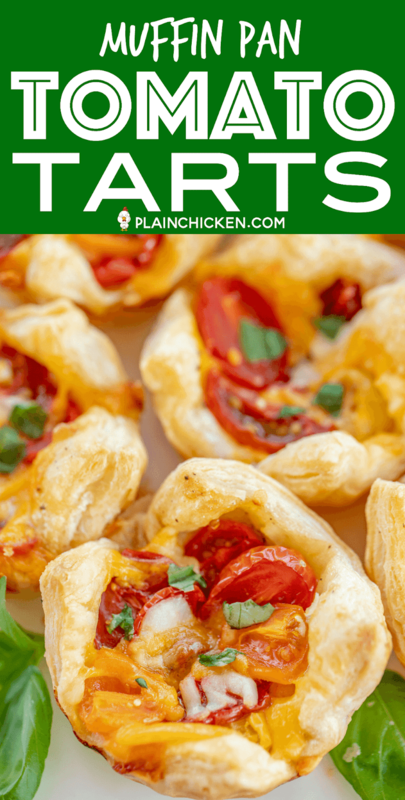 They are super easy to make and taste absolutely delicious! 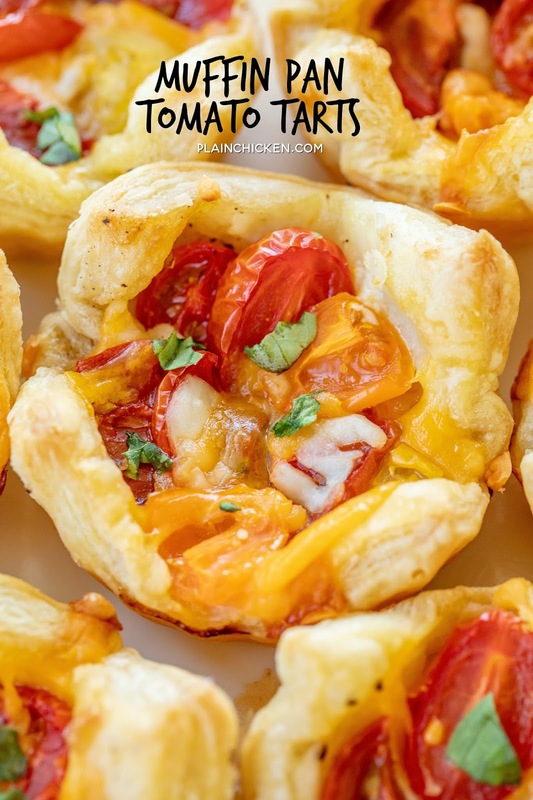 I used multicolored cherry tomatoes, and they turned out SO pretty! 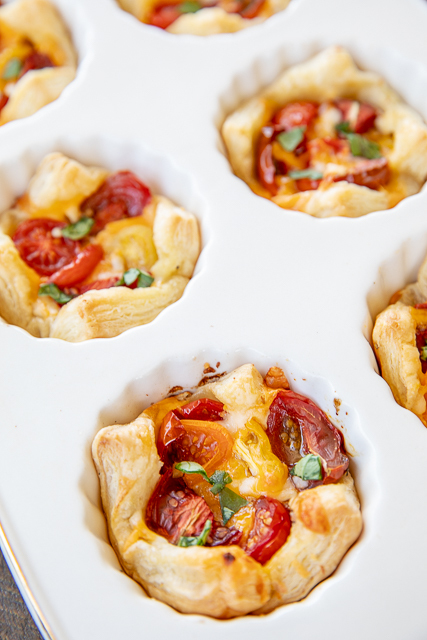 With only a few simple ingredients, these Muffin Pan Tomato Tarts are ready in about 20 minutes. 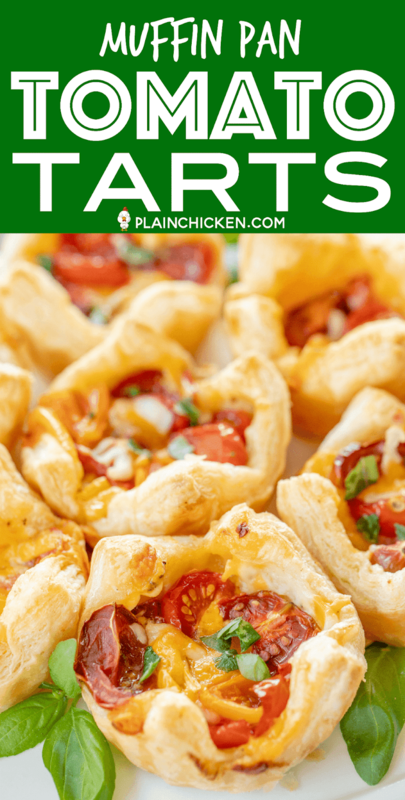 You can assemble these ahead of time and pop them in the oven when you are ready to serve. They taste great hot or at room temperature. Feel free to mix up the cheeses. 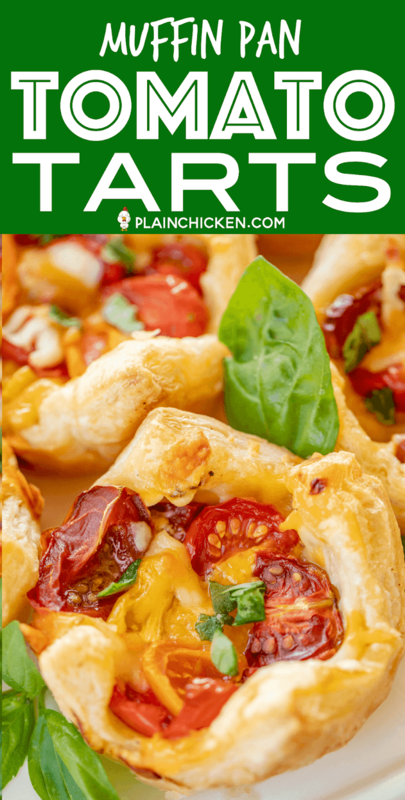 I used cheddar and mozzarella, but swiss, gouda, feta or goat cheese would be delicious too! 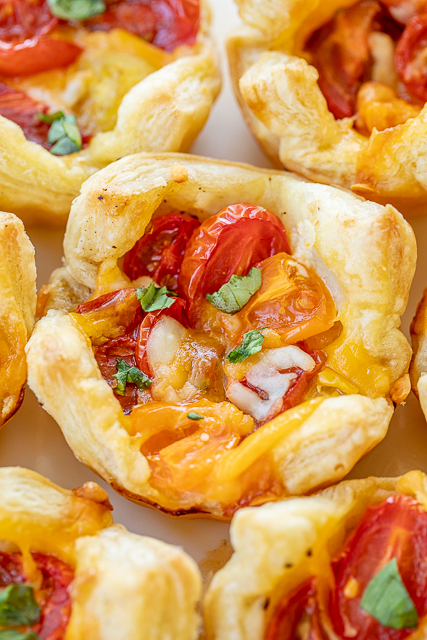 I live to serve these Muffin Pan Tomato Tarts at dinner parties and tailgate parties. They are individual sized and go with everything! Preheat oven to 400°F. Spray 2 muffin pans with cooking spray. Unfold pastry sheets. 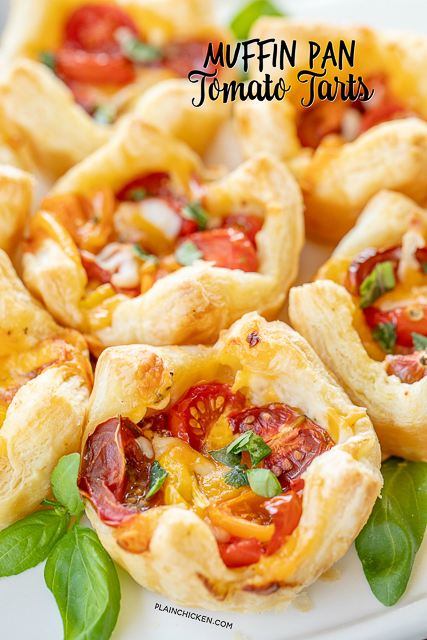 Spread mayonnaise on each pastry sheet; sprinkle each sheet with salt and pepper. Cut each pastry sheet into 9 (3-inch) squares. Press squares into muffin pans. 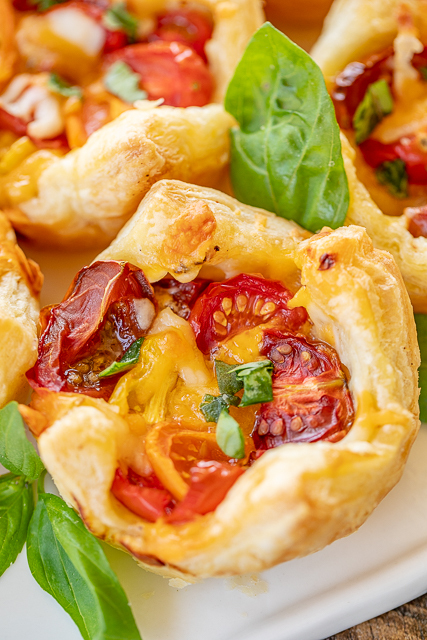 Divide cheese and tomatoes among tarts. Bake for 20 minutes, until golden brown. 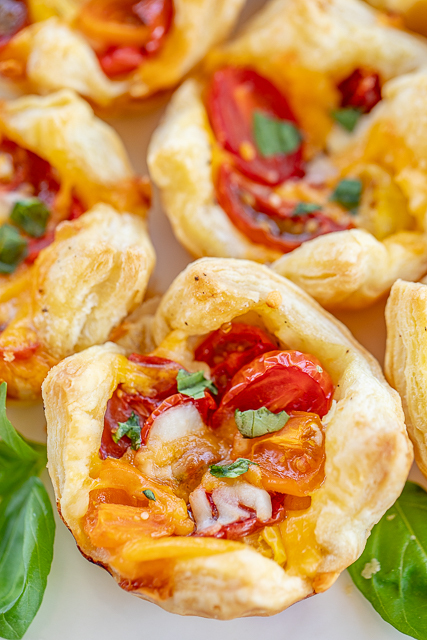 Top with torn fresh basil. Good looking appetizers Steph, I might have to add a little sweet onion. 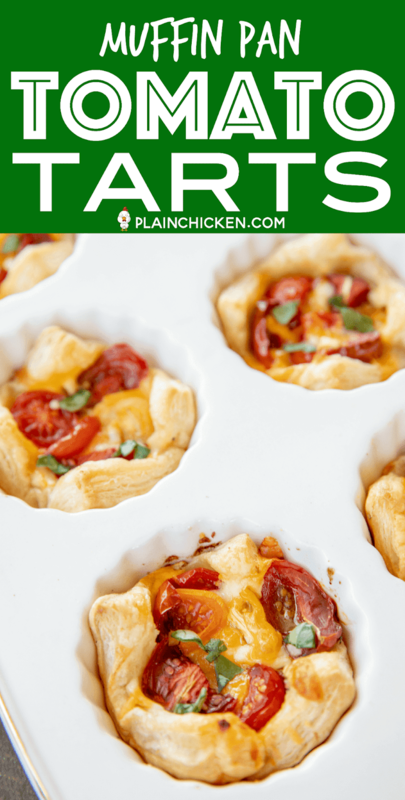 Mini or regular size muffin pan? What could I use instead of mayonnaise?